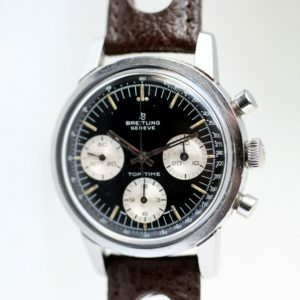 This is a beautiful larger 37mm diameter (not counting the crown) 1960’s chronograph, very similar to the Breitling Top Times of the period, with highly desirable reverse panda dial starting to turn an even more desirable natural slightly dark chocolate brown colour. 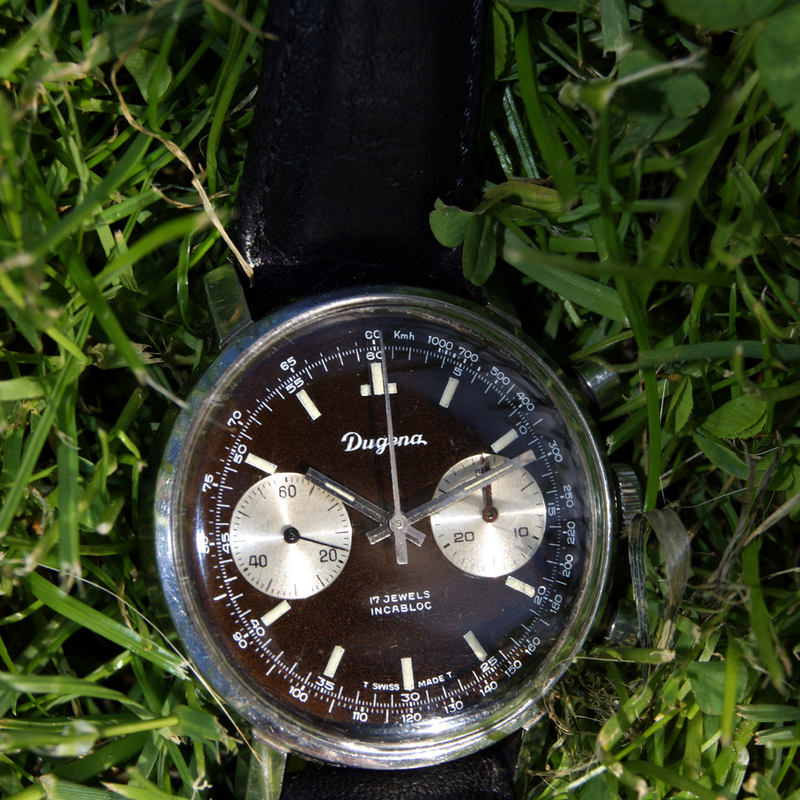 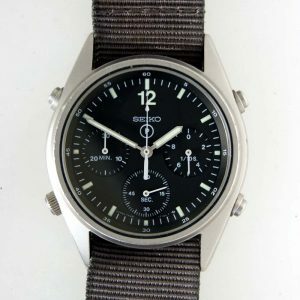 Large Swiss Made manual winding Landeron 248 Chronograph from the 1960’s. 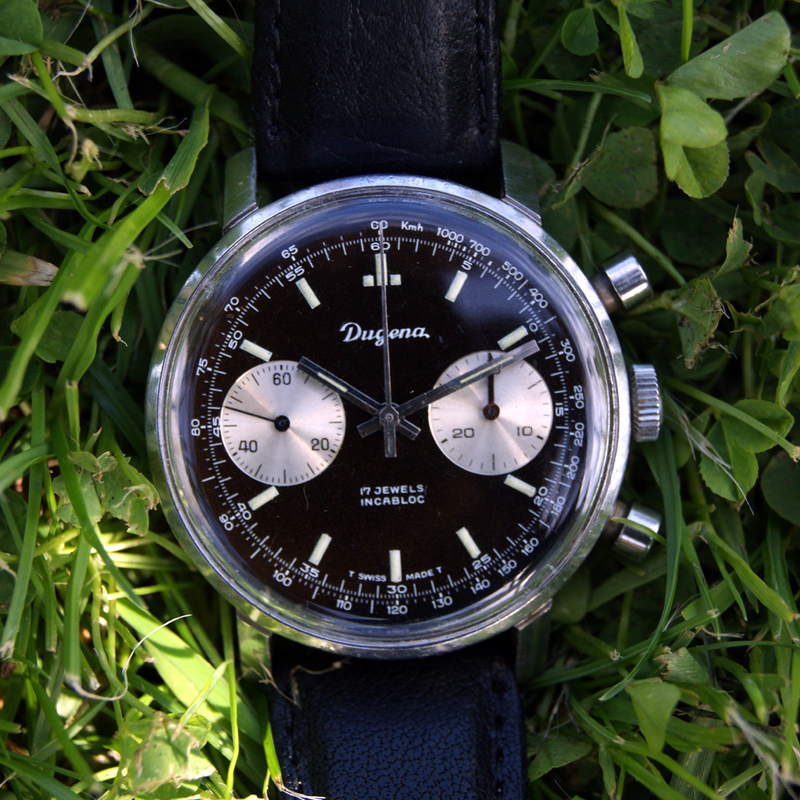 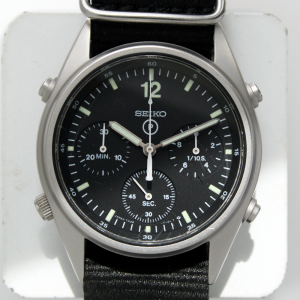 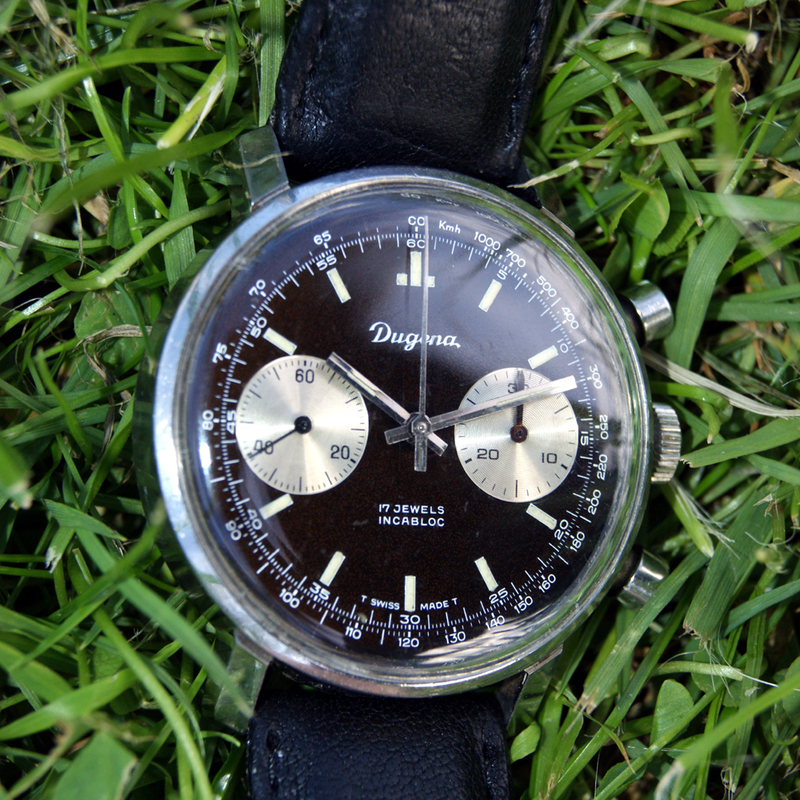 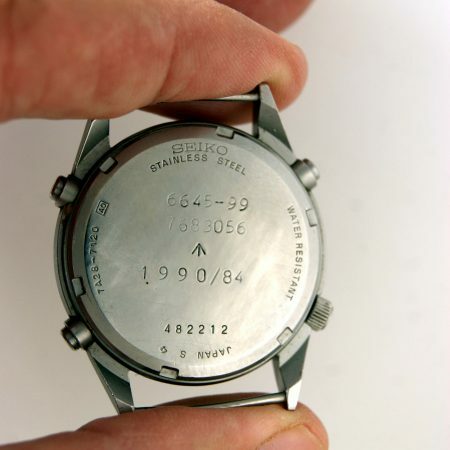 Probably the most desirable design of chronograph vintage watch out there at the moment. 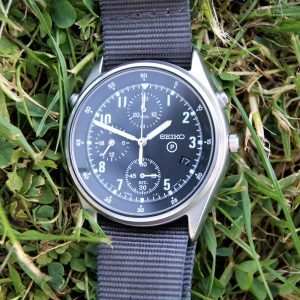 The original black dial is in amazing fantastic mint original condition turing slightly chocolate with natural age in certain light. 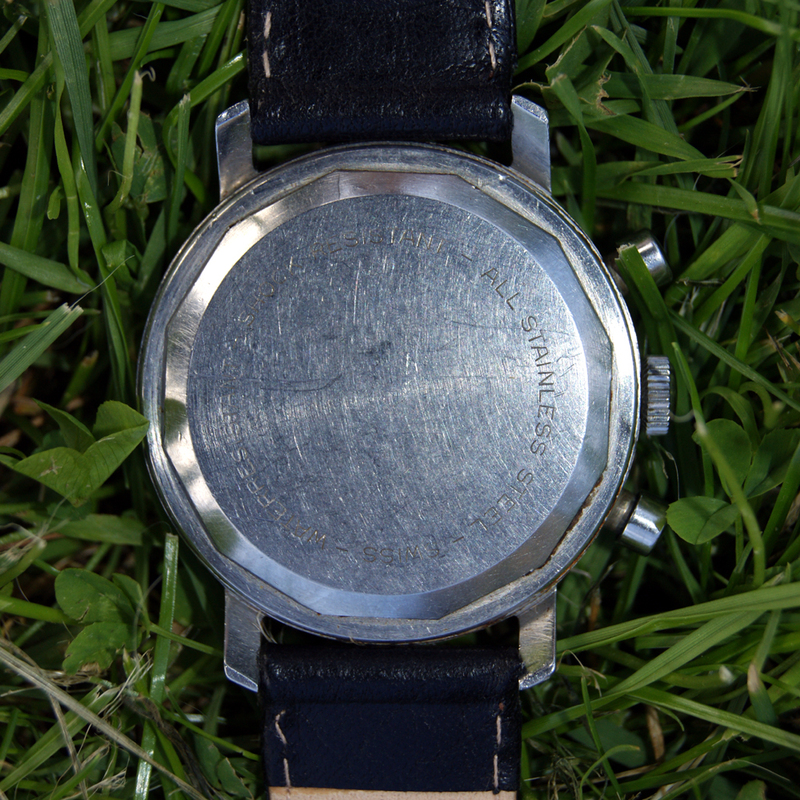 The two silver sub-dials are mint condition.